Nothing puts our love of the beautiful game into perspective like the death of a player. Football fans chart their own journeys through life by the generations of players they’ve seen break through, mature and eventually retire. But when one of these young athletes actually dies – well, you can’t help but consider your own mortality. The world lost Liam Miller on February 10th 2018. The former Republic of Ireland international succumbed to pancreatic cancer age just 36, but explored the ceiling of his talent – as well as five separate countries – in the span of his rich life and varied career. The Cork-born midfielder enjoyed his first experience of senior football at Celtic, where he played for four seasons. Miller picked up a Premier League title with the perennial Scottish champions in his final year at the club, before attracting the attention of scouts at Manchester United. By then he’d already hinted at the nomadic career that was to come, spending a six-month period on loan at Danish club AGF Aarhus. It became apparent that Miller was not a man to say no when an opportunity arose. If his Manchester United contract was the first and grandest of those, it was far from his last. Miller made just 22 appearances during a three-year stint with the Red Devils, but said he had “no regrets” about trying to break into the first team under Sir Alex Ferguson. By the early 2000s, Miller had firmly established himself as a Republic of Ireland regular at every youth level from under-16 to under-21. His senior debut duly arrived in March 2004, and he would rack up 20 more over the course of five years and three separate managers. He netted just once as a senior international, but like most rare things, it was a moment of sheer brilliance. Ireland were already two goals up in a 2006 friendly against Sweden when Miller picked up the ball on the halfway line, galloped away from his marker and lofted a pinpoint finish into the roof of the net from 25 yards. It must have been some moment for the player. Miller had an eye for the spectacular, and thrived on the big occasion. Witness his goal against Arsenal at Celtic Park in 2003, when the young Irishman juggled the ball on his head before driving an overhead kick past a helpless Yens Lehmann. But perhaps his time in Manchester showed him that life at the very pinnacle of the sport has its drawbacks. Instead, Miller chose to carve his own path. Successful stints with Sunderland, Queens Park Rangers and Hibernian were to follow, before Miller chose to seek a new adventure on the other side of the world. In Australia, Miller earned a reputation as one of the best midfielders in the A-League. The Irishman represented three of Australia’s biggest clubs in the shape of Perth Glory, Brisbane Roar and Melbourne City – making the A-League all-star side in 2013 and earning a crack at his former employers, Manchester United, for his efforts. Miller attracted countless admirers during his spell in Australia, and as a veteran pro, had time to fit in a stint with his hometown club Cork City before jetting off to yet another country for a season with Wilmington Hammerheads in MLS. 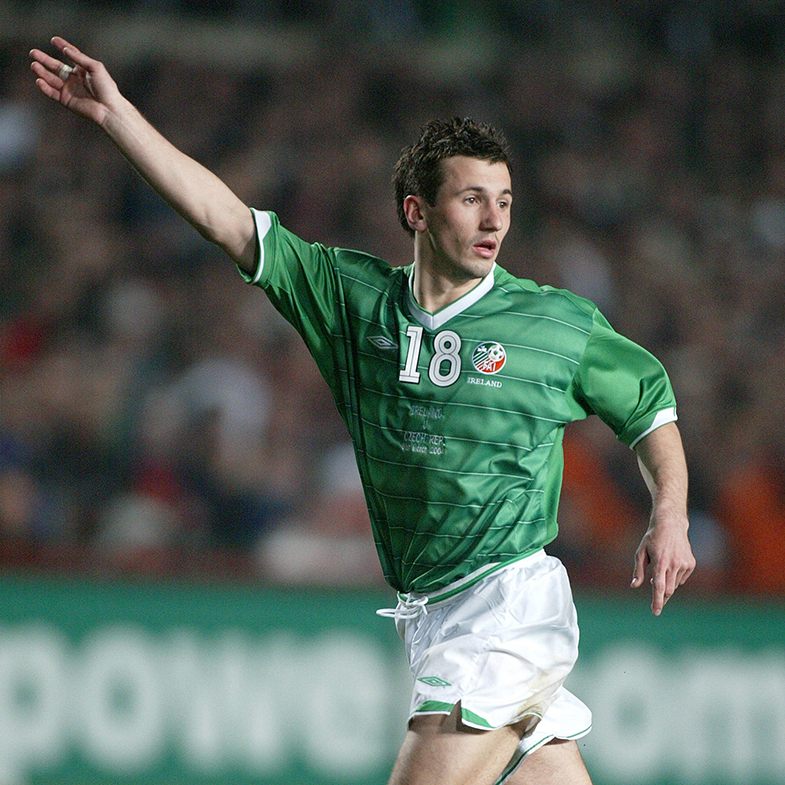 Liam Miller may not have been a prolific goalscorer, nor earned the kind of silverware the game’s greats can call their own. But it would be a cruel assessment indeed to claim his was a career unfulfilled. Miller’s adventurous spirit, adaptability and willingness to ride his talent as far as it would take him served as the catalyst for a life less ordinary, and should act as an inspiration to us all. He is gone too soon.